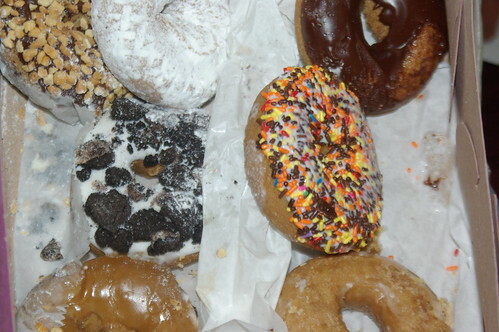 VOO DOO DOUGHNUTS: The doughnut mecca for vegans with a nice selection of vegan cake doughnuts with all kinds of crazy toppings. On my first visit to Portland last weekend, I insisted my dear friend take me there straight-away the next morning so that I could get a big box to take home. 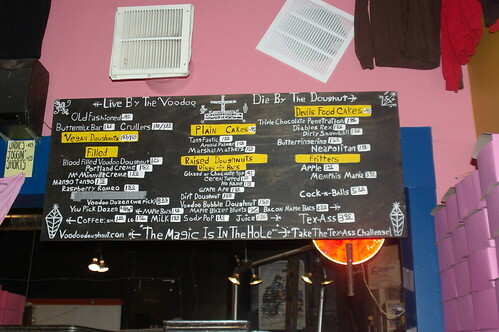 The menu is pretty funny - it has crazy names for doughnuts like "triple chocolate penetration" (yikes) and "Memphis mafia." Click through to look at the larger size of the image. They seemed to be low, so I just asked for a box of a dozen assorted doughnuts and ended up with this lovely selection of yummy items. 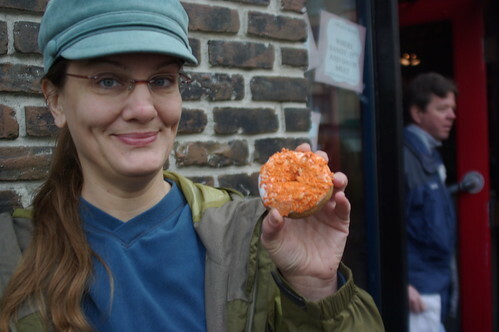 The first doughnut I ate was covered in crushed Chick-o-Stick candy. And, of course - I couldn't resist buying the t-shirt with their slogan "The magic is in the hole." 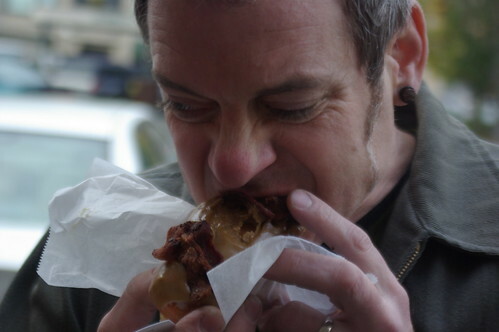 My friend had to get a "maple bacon" doughnut - which he said was better than the last time when the bacon was overcooked and crispy. Eww. 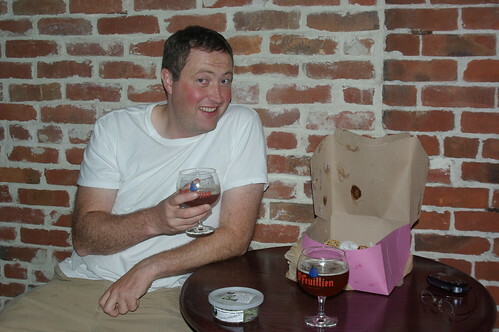 But, he looked pretty happy with it - but not as happy as Jon was to have vegan doughnuts and beer at the Trappist with me when I got home on Sunday.